Dermal Optical Thermolysis is the latest innovation for micro-ablative skin rejuvenation! DOT Therapy is performed using the SmartXide DOT™ CO2 laser system, featuring the unique Hi-Scan DOT Scanner with Infinite Delivery Options for ablative skin rejuvenation with rapid healing. 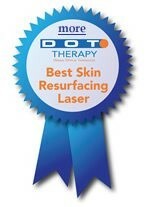 DOT Therapy (Dermal Optical Thermolysis) is the leading micro-ablative approach to laser skin rejuvenation. 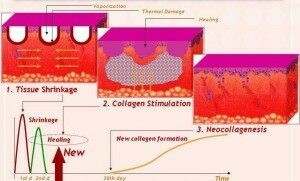 Traditional fractional CO2 treatment has evolved with DOT (Dermal Optical Thermolysis) Therapy. The science behind the success of DOT Therapy is the SmartXide DOT™ CO2 laser. CO2 laser technology has been the gold standard in skin resurfacing for over fifteen years, but only DOT Therapy uses the optimal spot size for better energy distribution to treat a wider range of patients for both collagen remodeling and the appearance of aging. A topical agent is placed on the skin for 30 minutes. The procedure then follows treating all of the desired regions of the face, neck, and body. Here is what one of the SmartXIDE DOT Laser patterns looks like after treating a small region of the skin. DOT THERAPY - creates thousands of microscopic perforations, which induce immediate skin tightening and stimulate new collagen growth, improving the skin's texture and tone to fight fine lines, deep wrinkles and even acne scars. The key to DOT Therapy is the SmartXide laser. It leaves the skin around each of the perforations intact, which allows the epidermis to heal from the edge of these tiny holes very rapidly, significantly improving overall complexion and reducing patient downtime. STANDARD ABLATIVE SKIN RESURFACING - In addition to standard DOT Therapy treatments, the SmartXide laser also delivers the versatility to adjust power, dwell time, DOT pattern, density and shape to customize treatment, especially for those patients with severe wrinkling or advanced photo-damage.